Yoga instructors: Better serve your growing client base. 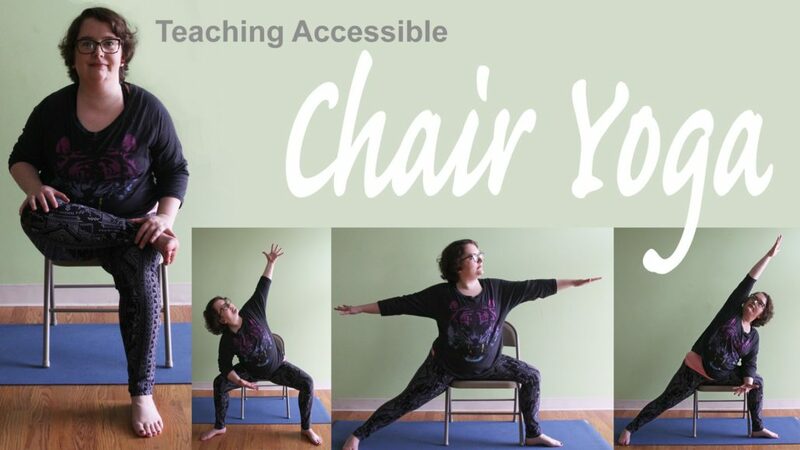 Learn how to teach yoga using a chair to make the practice accessible to those who have difficulty getting up from and down to the floor, or supporting their full body weight in the wrists and hands. On the mat, learn how to make your general population classes more welcoming through props. Continuing education credits through the Yoga Alliance will be available. Yoga students: Arm yourselves with knowledge on how to modify poses and use props to honor your unique body during class. Enjoy a 30-minute chair yoga class, then stick around to learn more about chair yoga and using props for other types of yoga. Chair yoga is an unintimidating way to become familiar with the yoga fundamentals of breath, movement, stretch and mindfulness – it’s great for people of all ages who want to benefit from exploring the mind-body connection. 2-2:30 p.m.: Sample chair yoga class. Props provided for class. Cost: Free for ages 50+ and $5 for others. 2:30-4 p.m.: Workshop on chair yoga and props for accessibility. We will explore the intent behind several common yoga poses and discuss how to translate them to the chair. Moving to the mat, we will discuss the most common ways to use props like blocks, blankets and bolsters to make standing, seated and kneeling poses more accessible. Open to yoga instructors as well as students looking to expand their practice. Our instructor, Amy Widner, RYT-200, teaches chair yoga and chair-assisted yoga four days a week at the UAMS Reynolds Institute on Aging. Yoga research has shown that yoga has benefits for both the body and mind, including chronic pain, diabetes, depression/anxiety and the general effects of aging. According to a 2016 study, the number of older adults practicing yoga is increasing, with more than 14 million yoga practitioners over the age of 50 in 2016. For questions and more information, email ARWidner.9@gmail.com or find Amy on Facebook and Instagram.